Joseph Mallozzi has revealed more about what might have been. 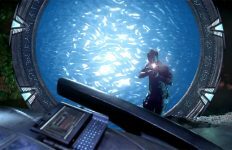 Two years after the door closed on Stargate: Extinction, Joseph Mallozzi has revealed more about the story that the Atlantis movie (and possible sixth season opener) would have told. When it became clear in 2011 that the movie wouldn’t be produced, the former SGA writer and executive producer gave a description of the opening scenes that set up the story (see here and here). Mallozzi co-wrote the script with Paul Mullie, but it was shelved (along with the SG-1 movie Stargate: Revolution) when the bottom fell out of the DVD market and MGM seemed to be on a path to inevitable bankruptcy. Knowing that this exciting story won’t be told, today it makes for bittersweet (but definitely fun) reading. 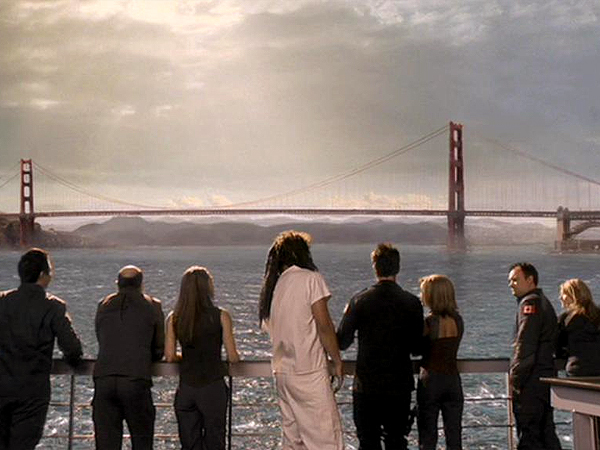 To recap what we already know: Atlantis ended its final season on Earth, cloaked off the coast of San Francisco. When the movie opens, the city has been relocated to the much more secret-friendly location of Earth’s Moon. Earth’s leaders are debating what to do with the powerful Ancient city ship, but things become clear when a self-destruct alarm is triggered. The team must reunite and get Atlantis back to the Pegasus Galaxy before the clock runs out, or … boom. Mallozzi revealed more on his blog at the end of March. He called the movie’s not getting made his one great regret in 11 years on Stargate. “The plan is to use the wormhole drive to execute a series of jumps to Pegasus — however, the drive burns out partway through their journey, stranding them in the Triangulum Galaxy, some 300,000 light years from home,” Mallozzi said. “They manage to muster up enough power for one, final short range jump, putting them within range of a subspace anomaly they detected. “What follows is a high-flying adventure involving a mysterious civilization tapping the limitless potential of the accretion streams between two stars, time travel, and a race against time to avert not only the destruction of Atlantis but the extinction of an entire race. The movie wasn’t meant to wrap up Atlantis entirely, but to set the stage for a sixth season — or, if Extinction made for a successful DVD release, more movies for John Sheppard and his team. “Late in Atlantis’s fifth year, when we were working on the final few scripts of the season, we had no way of knowing what the future held,” Mallozzi said. “A sixth season? A wrap-up movie? Robert Cooper suggested we hedge our bets by preparing for both. 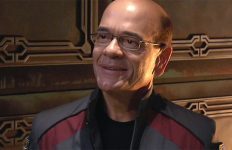 His idea was to add an extra month to the production schedule during which we would shoot the sixth season opening two-parter that, in the event the show wasn’t picked up, could become a direct-to-DVD feature. “It was a brilliant plan which I, in turn, proposed it to the decision-makers. Given the green light, we could roll right into production on the heels of ‘Enemy at the Gate.’ We just needed the go-ahead sooner than later in order to make sure we had all the actors on board. To learn more about Extinction — including the fate of Todd the Wraith — be sure to read the whole entry at Joseph Mallozzi’s Weblog! Too bad Mallozzi was kept out of the loop as well. This sounds much better than what we ended up getting. Hopefully he gets the chance one day to produce a movie or new TV series. Sounds interesting, but I’m not sure I buy a Sheppard/Teyla ending. Also, I’m still not sure why the bottom falling out of the DVD market spelled the end for these two movies. Wouldn’t it have been simpler and cheaper to keep it a strictly digital-download only affair? I’m so sad this never had a chance to happen. We should have had a movie, if not a Season 6. It pains me just reading this. I just don’t get why the execs don’t try o take this to Netflix. I wish Atlantis would have been renewed for a sixth season. If it had been, we would likely have two Stargate shows on the air right now. The self-destruct idea is pretty stupid though. Seems like a cop out just to get Atlantis back to Pegasus. It seems like the writers learned a thing or two about good writing with Universe though, so I hope they put it to use if this film ever gets made. I literally search “Stargate return 2013 or 2014” everyday in google hoping to see news of a return. Atlantis was by far my favorite, the team of Shepard and Mckay were the most entertaining, funny, exciting, etc that I’ve ever seen on TV. I’m begging for a Stargate return!! PLEASE!! This is why I paid 1.99$ per episode of SGA on My PS3! I’m getting more then my money’s worth and the only thing stopping me from watching, which I do often; is an EMP! I would easily pre-pay allah kickstarter campaign because I’m totally gonna get my $$ worth. If Disney doesn’t buy the Stargate Series first, which doesn’t make sense why they wouldn’t. Stargate is still in my mind an untapped, global cash cow. Keep hoping Gater’s.!!! why not just post the script or treatment? That would be for MGM to do, and not Joe, as MGM owns the script. I always thought Sheppard and Dr. Weir were meant for each other. Although I stopped watching SGA during the tail end of season 3, I did regret there was no overall closure to the series having watched the final episode. I also think shoving Shep and Teyla towards each other so far down the road is a ham fisted idea, but everything else described above sounds great. A nice way to end the series with a feature length story to bookend most elements. Almost a SGA version of The Ark Of Truth in that sense. I like Stargate as much as the next guy, but this doesn’t seem like good Stargate. Time travel stories have been done to death in Stargate, they really should have moved on from using that as a plot point. And Teyla/Sheppard at the end? It seems wrong. There was just no build-up to make them close to believable like there was with Carter and O’neill. Somehow both the self-destruct and Teyla/Sheppard seems very out of place and not thought through from my perspective. And on the destruct part, even the books had a better reason for the city to leave Earth. Its not hard to think of better reasons then a self-destruct. I can’t help to think of it as an easy way out and lazy writing. Sadly, there is probably more chance of Howard the Duck II 3D than another Stargate themed movie or show. This would have been awesome! SGA ended way too early. I miss it terribly. And John and Teyla finally! Good news but I hope that SGU Has a movie soon I did love that idea. Someone needs to make a petition for a Netflix/MGM partnership to continue Stargate. 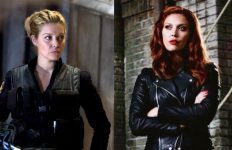 The movie/series can use kickstarter for funding if needed, but it needs to happen! Sayomara — I’d imagine you are right about the typical contract for WGA. That’s not the case here, though. I’m just repeating what Joe (Mallozzi) has said several times on his blog. MGM owns the script. I know the Atlantis writers weren’t affect by the 2007 WGA strike so I’m not surprised that he is under a different contract. That said it does surprise me that he doesn’t retain any ownership but I guess those are the breaks. Teyla/Sheppard together is a joke. It was so obvious that he had more chemistry with Weir. Plus, I have always said, and will continue saying, that the writers blew it for this show after season two. SGA had a lot of potential, but they seemed to lack direction. After reading the plot of this Stargate movie, I probably wouldn’t watch it. I own all of the Stargate seasons; all the way up to SGA season 3. I just couldn’t bare to watch it after that point. So heartbreaking. Why not have someone start a kickstarter project and let our huge fanbase to fund the making of this movie? An older TV show “Veronica Mars” has done it and raised over 5.7 million dollar for a new movie. I don’t see why Stargate Atlantis, or even Stargate Universe, can’t. You have enough people that want this. Please, please, bring back Atlantis. Season 6 and a movie or 2. Please!!! It wasn’t lack of ratings….. This isn’t fair for all of us fans to cut off the best, and everyone knows I’m right on this, the best star gate show that was on!!! SG1 was great too, but went 10 seasons. Atlantis was better, universe was very lacking… That wasn’t fair to us to chop it all off because that one failed!!! Please, we need this!!! 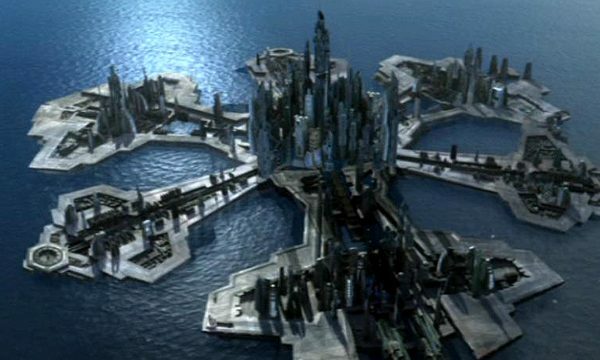 Please bring back Atlantis! Again!!!!!!!!! Why not still do a movie on Netflix or Hulu?